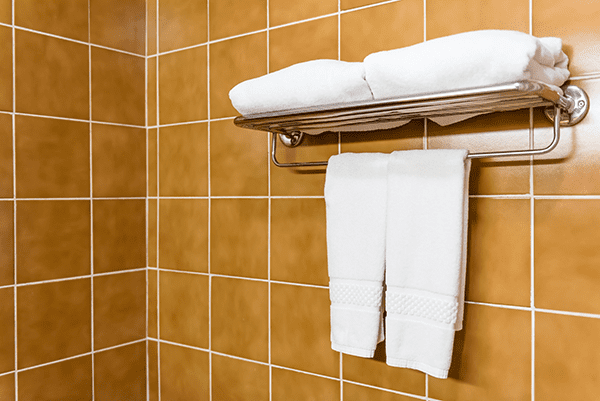 The average hotel room generates anywhere from 8 – 16 pounds of laundry per room per day. The average restaurant – 40 to 50 pounds of napkins, tablecloths and uniforms per day. 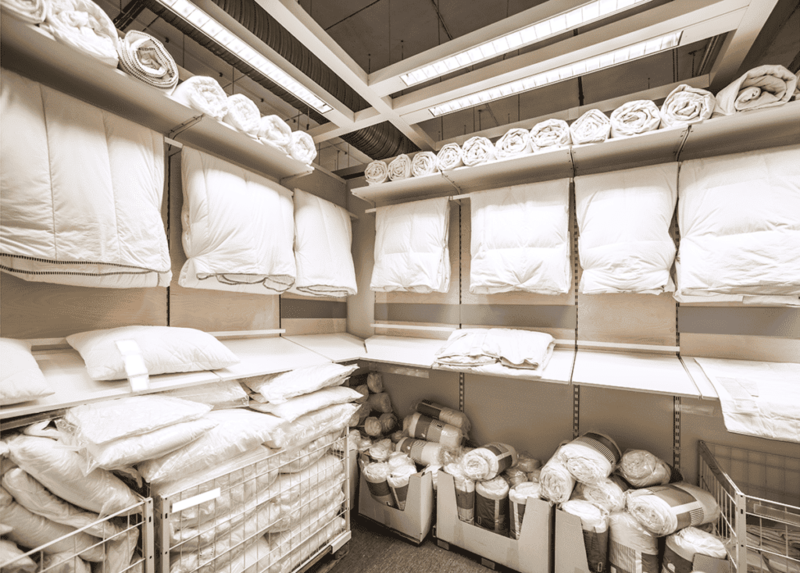 A typical extended care facility – 200 pounds of linens per day. Whether your business is a hotel, restaurant, full-service or other laundry you will benefit from having protocols in place for handling all those pounds of linen. Guests do not want a hotel room or restaurant table outfitted with stained, grimy linens. Laundry customers will not want a bag full of ruined, dingy clothing. Sorting and pretreating is one of the most important steps in cleaning laundry. They are also the very first steps you or your staff performs. We’re here to help you make those first steps count. If you haven’t already, check out last month’s blog on “Extending Linen Life”. Sorting laundry, for the service industry, is very similar to sorting laundry at home. Laundry sorting, even in an industrial setting, is best done by hand. The first step in your sorting will be looking for foreign objects. Miscellaneous items left in with dirty linens could damage and possibly ruin your valuable laundry equipment. Wine glasses, eye glasses, jewelry, stuffed animals, personal clothing – you can probably think of many strange items to add to this list – all need to be removed. Your next step is, just like at home, separating whites from colors. However, you will probably need to be more selective in your commercial sorting. You and your employees will need to have bins to separate items of like color, soil level, material and perhaps even item size. If in doubt about combining some of the colors check labels for “color fastness” (whether the material’s color is resistant to fading or running). If the label states “wash separately” then the item will probably lose some of its color during laundering. Wash these items separately or with similar colors whenever possible! Now, depending on what laundry your business is doing, you may need to further sort by fabric type. Separate loosely knitted or woven fabrics, sheers and garments made with delicate trimmings, narrow seam allowances or unfinished seams that will fray. These will need a shorter wash time and gentler agitation. Also separate the heavy lint-producers, such as chenille robes or spreads, new towels or flannel night wear and fuzzy sweat suits. Wash them together if color allows or wash separately. Keep heavily soiled or greasy items separate for washing. When heavily soiled pieces are washed with lightly soiled ones, the latter may pick up soil from the wash water. Whites may take on a grey or yellow cast; colors may become dull and extra work may be needed to get whites and colored work bright again. Mix large and small items together for better washing action. 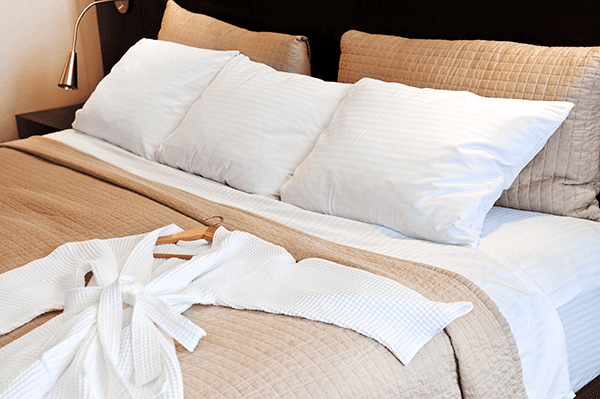 A typical mix might, for a hotel, include sheets, pillow cases, and some mattress pads. 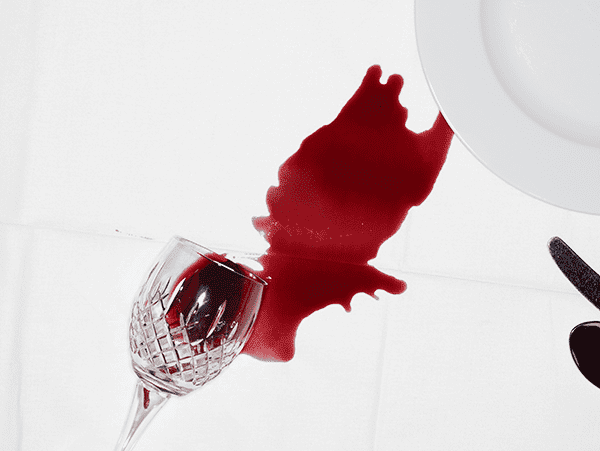 A restaurant mix might include napkins, tablecloths and lightly soiled kitchen linens. If you’re washing personal clothing combine several shirts or blouses, and make up the remainder of the load with underwear and other small items. Wash large items (blankets, bedspreads, rugs, etc.) separately, adding a few towels if necessary to balance the load for proper spinning action. The secret to bright white linens and vibrant colors is pre-treating and it isn’t a scary process! If you can treat it quickly, it will vanish much more easily! Do not blot the stain by rubbing the fabric together, use a white cloth to blot at the stain from the edges – this will keep the stain from expanding. Always launder the item as quickly as possible in the warmest water that the label recommends. Do you have a stubborn stain that you think will require more care? Soaking the item for 30 minutes, in just plain water, is usually sufficient. However, keep in mind what KIND of stain you are facing. Egg, blood, milk and other protein stains have a better chance in plain, cold water—warm water would simply cook the protein and set the stain. Wine, coffee, fruit juice and other tannin stains are better soaked in warm water mixed with a few drops of liquid dish or laundry detergent. For some other common stains and their treatment check out this chart. Sorting and pre-treating your laundry is an easily implemented practice – a practice that will leave your customers feeling cared for and happy with your service – no matter what type of linens your business handles! If you found this blog to be helpful, please let us know, and be sure to watch for next month’s blog on “Blood Borne Pathogens”.